FINISH: “It was once believed that the crow carries the soul” is the strapline for this beautiful bike. 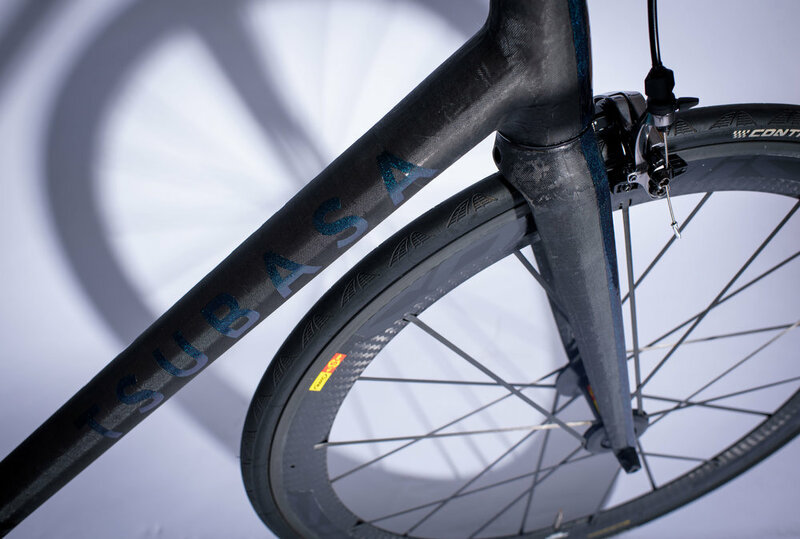 Ed Vavilovas of @Tsubasabicycles is an extremely talented designer and visionary. His innovative creations are brilliantly engineered. Every part of this carbon frame is hand made in order to keep it as light and as strong as possible. With all that in mind, we didn’t need to cover any part of Ed’s work with an elaborate paint scheme or add any unnecessary weight! This frameset simply has a very minimal finish. 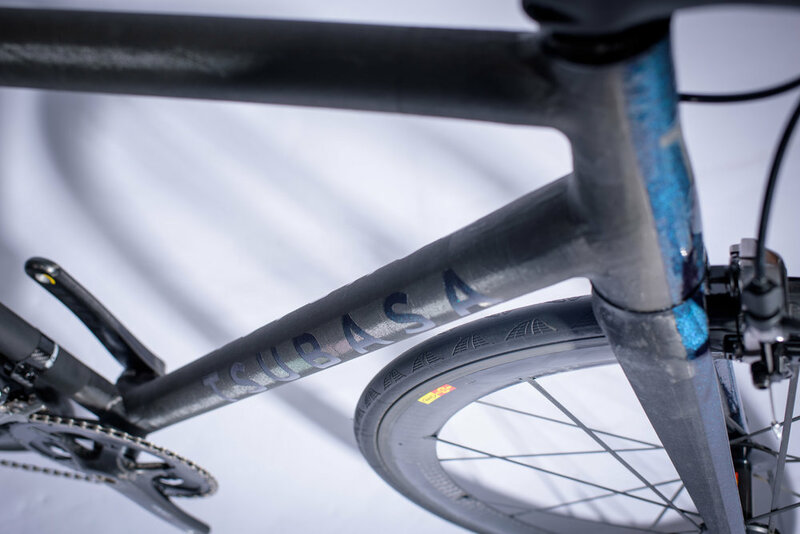 The bike’s downtube branding is applied in a transluscent, colour changing pigment which shifts through blue, purple and green hues depending on the viewing angle, distance and light conditions. 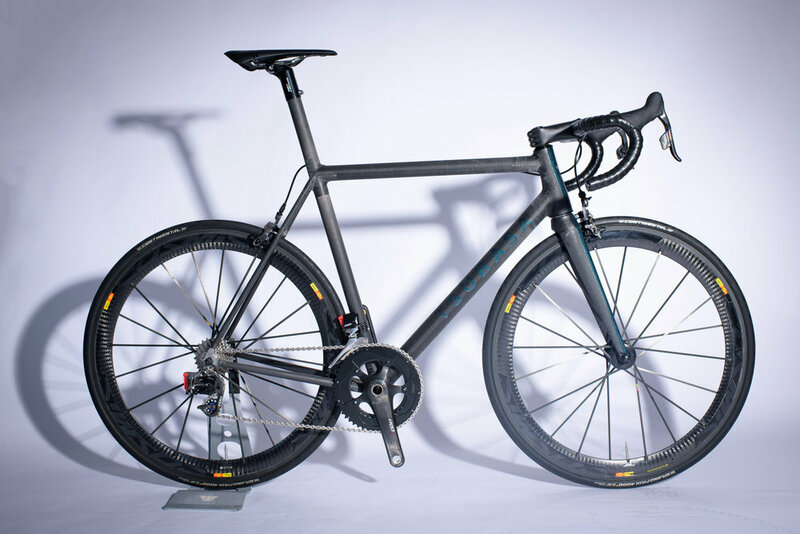 The same finish is also present on the front end of the bike at the fork and head tube, contrasted against the raw carbon with a crisp, sharp edge all the while still being able to see the texture underneath on this hand crafted bike.